In Japan, many people still uphold the tradition of sending New Year’s postcards (nengajō 年賀状). Some people send out hundreds of these postcards to family and friends. You don’t write about your life in detail on these cards. The greetings are always kept short and simple. There are many designs and styles available for Japanese New Year’s postcards but one of the most popular is a picture of the appropriate animal from the Chinese Zodiac. 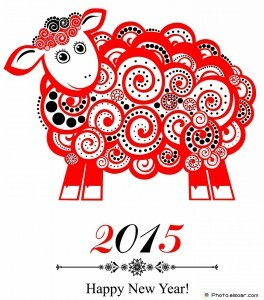 In 2015, the Chinese Zodiac animal is the sheep/ram/goat. If you’re in Japan, you should take your New Year’s cards to the post office between 15 December and 25 December. They should arrive on the first of January. If you’re sending a regular postcard, you should write 年賀 in red below the stamp so the postman knows it’s a New Year’s card and not to deliver this card before the first of January. If someone in your family or a close relative has died in the past year then you shouldn’t send New Year’s cards. You should send 喪中はがき (mochu hagaki). This will inform people you’re in mourning. If you receive one of these cards, you should send a Winter Greeting card ( 寒中見舞い) in the middle of January as a response, but not a New Year’s card. Thank you for all your kind help during the past year. 3. After your message, you should write the date. Don’t write the date the card is written, on a New Year’s postcard. 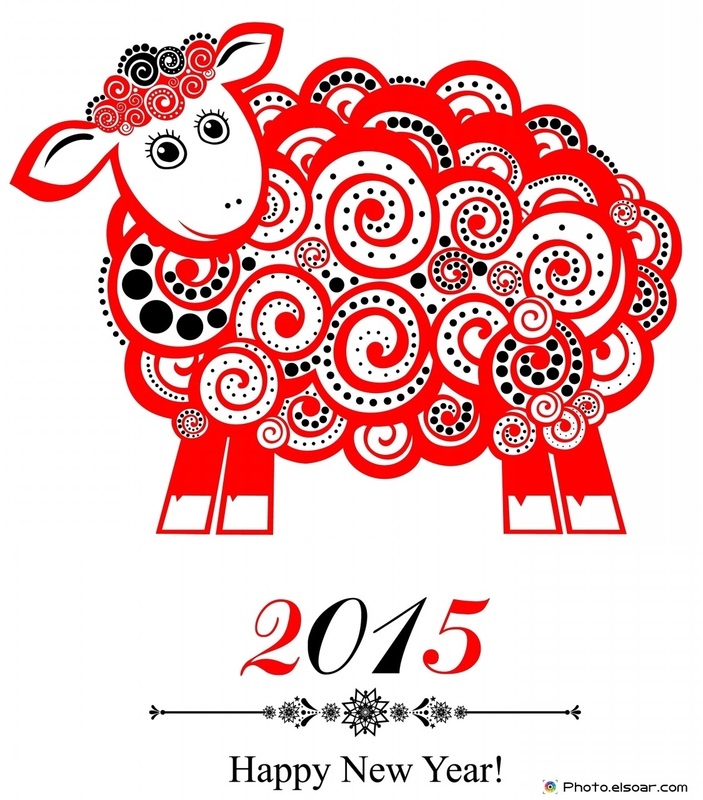 Instead, write “2015年 元旦”. The Japanese character for “year” is “年” and “元旦” means the morning of the first of January. Alternatively, you can write Heisei 27 (平成27年 元旦). Heisei (平成) is the current era in Japan. You can work out the Japanese Heisei year by subtracting 1988 from the Western year. 4. Finally, you should write your address and your name vertically in Japanese at the very end. If you’re not Japanese, you should write your name in katakana (a Japanese syllabary used for transcription of foreign language words). You write the receiver’s address and then their name vertically from right to left on the front of the postcard. The small set of five boxes on the front is there for you to write the addressee’s postcode. As the year is coming to an end, I’d like to wish you all a wonderful Christmas and a safe and happy New Year. Thank you so much for visiting my Cherry Blossom Stories Blog in 2014. I really hope you’ll return and continue to show your support for me, my writing and my books in 2015. New year cards can send with the SMS and quotes to your friends. If you have creative mind then you can make the cards amazing with some effects. In Japanese cards, you have to write on the cards in Japanese language. After completion, you can send prepared cards to your family and friends. I was just looking for some new year cards. I have shared this blog with my all friends. It is a wonderful post. thanks for useful information. I want to send wishes to my friends in Japan. Your post is quite helpful for me. Very informative website, Keep posting..
Great post..Thank u very much I was reading about the same. Your post really helped me..